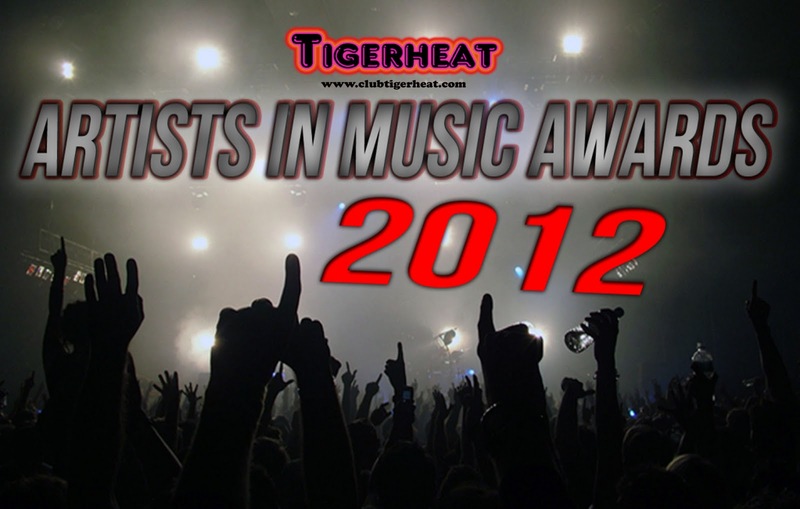 With over a year of planning, the launch of Artists In Music Awards is finally underway. 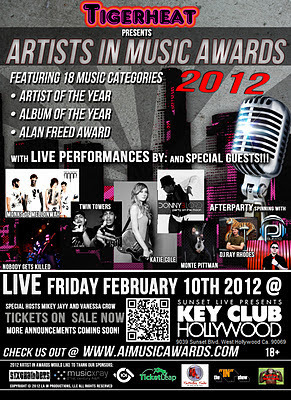 On Friday, February 10th, 2012 the Artists In Music Awards will be hosted at the famous Key Club located on the Sunset Strip in Hollywood, CA. This awards show was created to promote the best independent music artists and entertain the people of Southern California with an exciting awards show to add to their calendars. 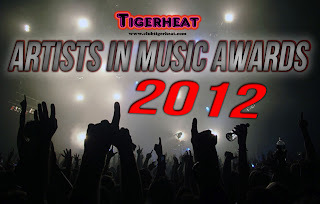 Artists will have a chance to submit their music videos and songs for nomination and a chance to win an award in a wide array of music categories. These artists will also have a chance to fill in one of six available live spots to show off their talent and play in front of hundreds of celebrities and guests from all over the world. The award show will not only be presented live in front of hundreds of people, it will also be streamed online for viewers all over the world. One of six 7 nominee's will be invited to perform live at the awards show event and each category winner will receive a beautifully designed and personalized engraved statuette for the artist to take home and display at home or at their studio. In addition, one lucky winner will take home the coveted, "Alan Freed Award". During the 1950s, Alan Freed earned himself to be one of the founding pioneers of independent music and helped pave the way for future music artists. Freed helped bridge the gap between Rhythm & Blues and helped it become a part of mainstream music. To be nominated for the "Alan Freed Award", candidates must have demonstrated outstanding achievement, have a distinguished body of work, and has made a recognizable contribution in the field of independent music and/or broadcasting field.